The Week Gone By! 5 | LIPS n BERRIES! Did anyone notice my absence on the blog this week? I bet none :p I was away in Auckland for 3 days for a work training. Yup! I already live in Auckland. Just drove to a different workplace this week which was directly proportional to no internet + no spare time. The best thing about it- lavish corporate lunches. The Felafel burgers, the red velvet cupcakes...mmm..yum! I'd certainly miss that. Who doesn't love the feeling of not knowing what treat's in at lunch? I'm practically broke so can't afford to eat out. Leftovers from yesterday's dinner cannot be erased from memory. So basically cherished the surprises I experienced at lunch hour this week. I didn't take any pictures of food. a. No one knows I blog b. Wouldn't that be weird? Surrounded by practically your future bosses! I was honestly youngest & least experienced of them all but it felt good so never mind. We shall all get there one day! Isn't it? That aside! 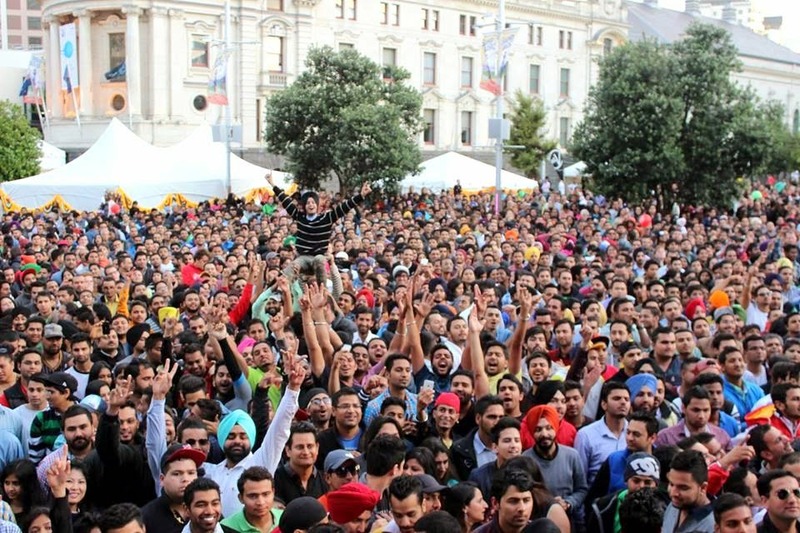 Did you check out the crazy Diwali festival video I posted on our Facebook page? I did take a couple of videos from my phone as well... via Instagram & magically lost them. Arrghh...Technology! The shopping ban vow that I took just last week went down the drain when I stumped into Daiso in the city during Diwali festival. It's basically a chain of Japanese knick knack stores selling stuff for $3.50 each. 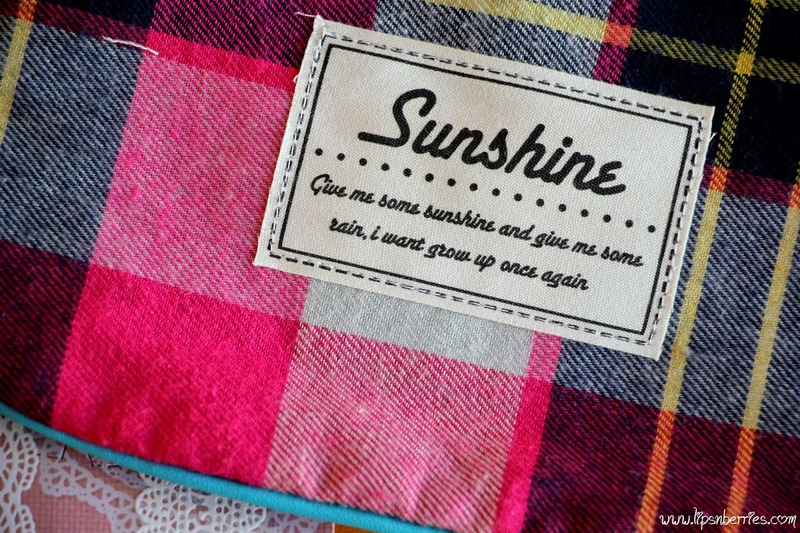 That's my haul up there ^^ Sunshine pouch (I mean how could I not buy that? ), two silicone heat-resistant mats for the kitchen (that'll be groceries right? 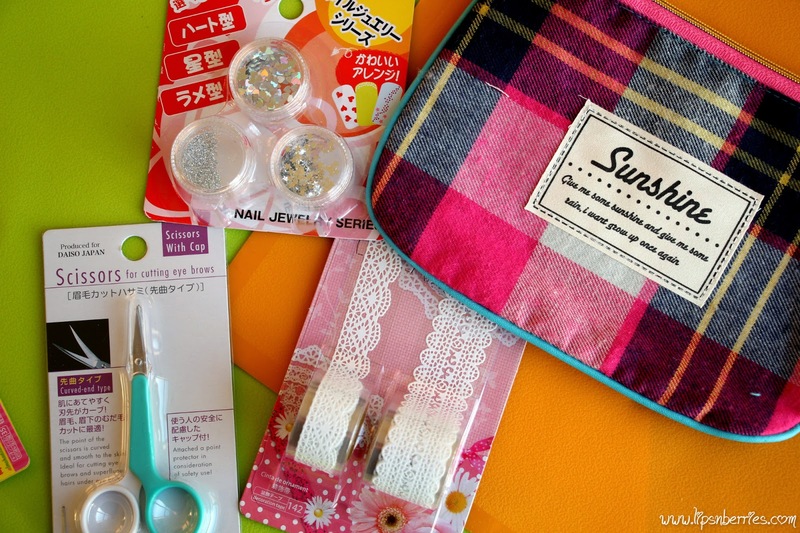 ), a cute pair of scissors, beautiful lace tape (DIY brush holder?) and some nail art stuff. All up $20. How cool is that? It was truly a one hell of a night. 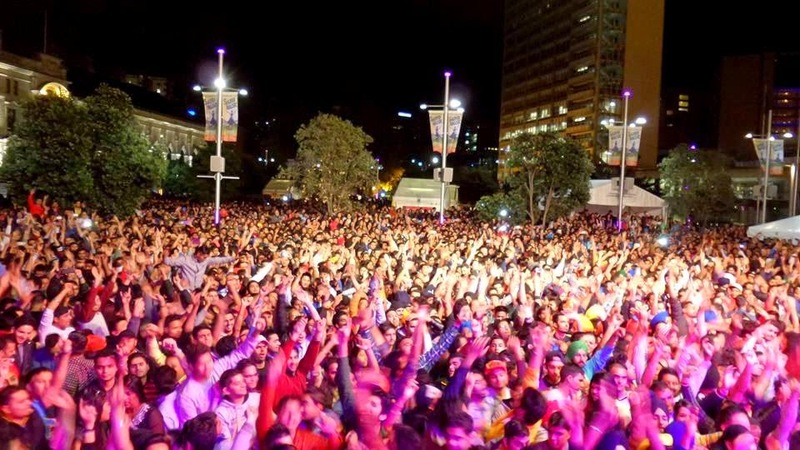 I practically wait for a whole year for Auckland Diwali Festival so my crazy excitement was justified. There's food, peppy music & tons of dancing. The best part... you feel special. 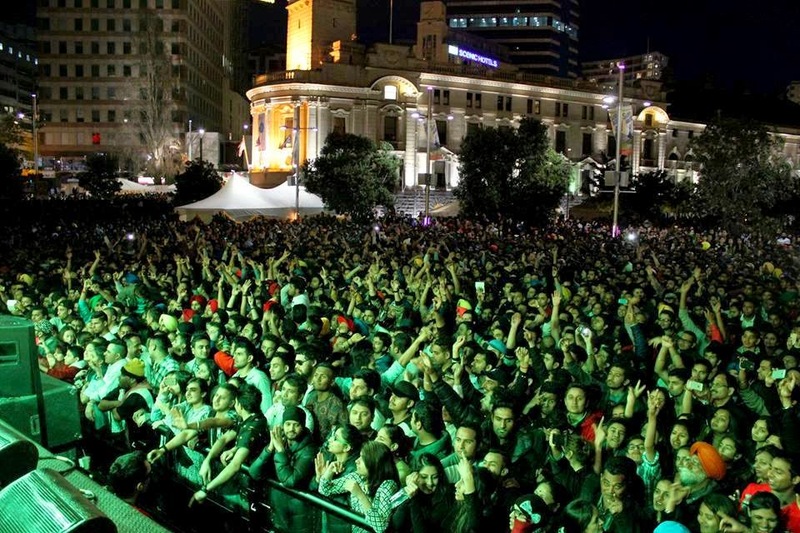 Being on a foreign land... a city that values you, your culture & music is godsend. The main street of the biggest city of New Zealand is closed off for all traffic for 2 days... for what? Diwali festival. It brings a sense of belonging like no other. I love this city! Don't even ask how much I danced! Like honestly, I couldn't even walk to the car after the night. Feet were sore, voice was gone & body had cramps & I had work super early the next day. But nothing beats the joy! One of us even overheard someone talking about us 'These guys are full talli (drunk), they don't even know what they're doing" That surely made the evening! The closing hour (9 pm) was so crazy! Ever experienced an open dance party? Dancing among thousand others... in blaring music... without a hint of care... sweat all around you. I cannot wait to do that all over again next year! Oh wait, there's one this weekend too. It's on a smaller scale but Bollywood veteran actor Dharmendra is coming. I'm hoping to get a decent pic of him. I also have a bloggers meet to go to! My first one. Hopefully they don't sense my inability to small talk. How has your week been? Any grand plans for the weekend? Who's shopping for Diwali? P.S. *Pictures off Radio Tarana's Facebook page! categories: Life, Life Updates, The Week Gone By!